Marine Industrial Park would offer quick access to Logan Airport and major highways. 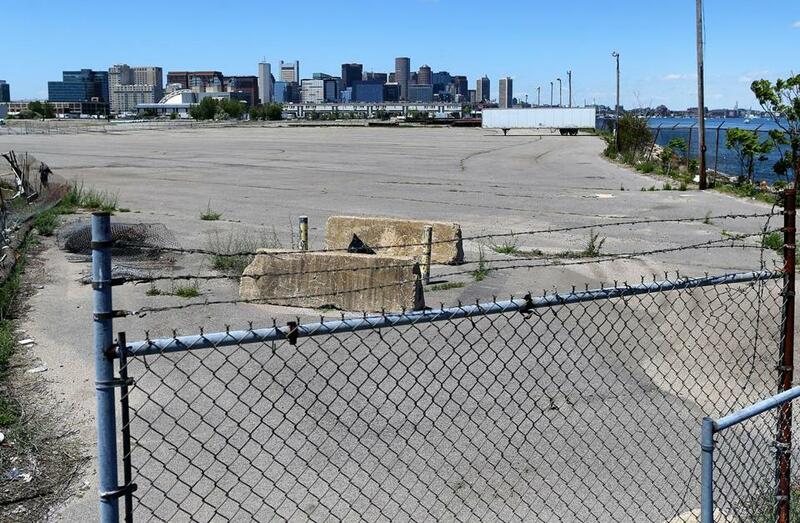 The organizers behind Boston’s Olympics bid are eyeing a 28-acre site on the outskirts of the teeming Seaport District for the seafood distributors and meat packers that could be displaced by a proposed stadium. Should that move to the industrial section of the South Boston Waterfront take place, Mayor Martin J. Walsh is floating the idea of expanding the wholesalers’ new home to include a public food market similar to a popular tourist attraction in Seattle. “If they moved, I would encourage them to look at an idea like Pike Place Market in Seattle,” Walsh said in an interview on Wednesday. Finding another location for the businesses has become one of the biggest challenges for the Boston 2024 Partnership. Its plans call for a temporary, 60,000-seat stadium at the wholesalers’ current site in Widett Circle, an industrial loop sandwiched between South Boston and the Southeast Expressway. The proposed relocation to the Boston Marine Industrial Park is still just an early concept, with many unanswered questions. It is not clear what the new complex would look like, for example, or how the move would be financed. Intense demands are piling up on organizers as they attempt to reestablish credibility and community support. Walsh said he wants to make sure the Widett companies, which collectively employ nearly 800 people through a cooperative called the New Boston Food Market, stay within the city limits. Walsh and other city officials have been talking to the business owners, who initially expressed a reluctance to relocate for the Olympics proposal, to understand what would be needed at a new site. Like Widett Circle, Marine Industrial Park is close to highways, Logan International Airport, and the South Boston Bypass Road. Walsh said the vendors have been keeping an open mind about moving. Michael Vaughan, a consultant to the Widett wholesalers, said the South Boston Waterfront is a viable option. As for the mayor’s idea of creating a retail presence at the new location, Vaughan said a public market with a mix of food vendors could work on the weekends or during off hours. Pike Place is a world-renowned open market of fishmongers, craftsmen, and farmers. Robby Brandano, general manager of Great Eastern Seafood at Widett Circle, said he likes the South Boston site because other food wholesalers and processors are there now. “It’s something we would consider,” he said. Boston 2024 representatives met with the Massachusetts Port Authority’s chief executive, Thomas Glynn, last month to discuss moving the wholesalers to the undeveloped part of Massport’s marine terminal property at the water’s edge, Massport officials said. The land is owned by the city, but Massport controls it through a long-term lease. As recently as about two weeks ago, Boston 2024 continued the conversation about relocating the Widett companies to the site during a telephone call with James Doolin, Massport’s chief development officer. “We have tried, like a lot of other institutions around town, to be team players with the Olympics agenda,” Glynn said. He said Massport uses the parcel for parking for its nearby Black Falcon Cruise Terminal and ideally would like to develop a maritime-based commercial project there. Even if a relocation deal can be reached, several big obstacles could remain. The site is designated by the state for maritime industrial uses. Many of the Widett Circle companies are in the seafood business and could qualify, but meat and poultry wholesalers might not. The Massport marine commerce terminal along the waterfront facing Logan Airport. This may not be a small hurdle. “While we always want to look at new ideas, we have turned down similar proposals in the past when they fail to address state regulations that require waterfront uses for waterfront land,” said Matthew Brelis, Massport’s media relations director. 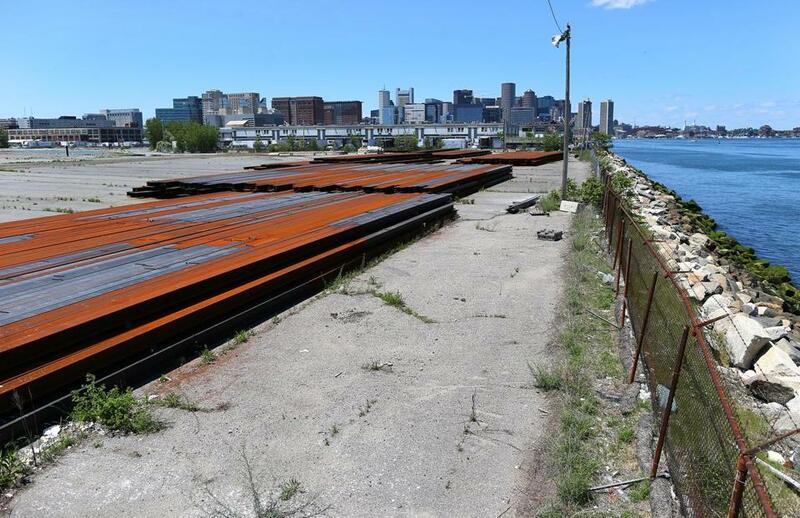 The Boston Redevelopment Authority is reviewing the industrial park’s future — a process unrelated to the Olympics discussions — and could decide to seek state permission to classify any shipping that relies on Logan Airport as a maritime use. Then there are the logistics of how the Widett Circle companies would move all of those extra trucks in and out of the industrial park. While closer to Logan Airport, the site has less direct access to Interstate 93 than Widett does. Vivien Li, president of the Boston Harbor Association, a nonprofit group that promotes access to the harbor, said the industrial park seems like a sensible place for the Widett group, partly because the truck traffic would be far enough away from a residential area. “If they had to relocate, it actually does make sense because you’d use existing truck routes and it’s so close to the airport,” Li said. Regardless, Widett Circle wholesalers say they want to stick together. Most arrived roughly five decades ago, transplants from the redevelopment of Quincy Market. Marion Kaiser, chief executive of the seafood wholesaler Aquanor Marketing, is a more recent arrival. She said joining the cooperative in 2000 allowed Aquanor to share costs with the others. She said she is not particularly eager to move again. “We’re all waiting to see what the 2024 folks come up with,” Kaiser said. Kaiser said 18 of the 21 companies there are shareholders in the New Boston Food Market. They have paid off the debt on the site, Kaiser said, and they want to continue to own their home or be guaranteed a long-term lease if they move. Boston 2024 officials, meanwhile, are keeping quiet about their discussions related to Widett Circle. Even if Boston 2024 can relocate the wholesalers, its Widett-related headaches might not be resolved. The Olympics organizers would need to prepare the land and adjacent acreage for the 2024 Summer Games — and for subsequent commercial development — without interrupting the active train tracks in the area. That would probably involve obtaining air rights to build over the tracks. 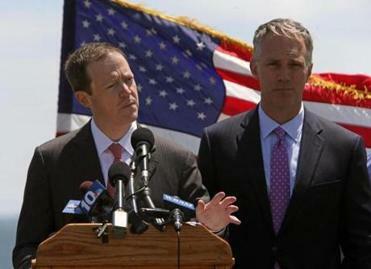 There is no guarantee that Boston will land the 2024 Summer Games. A fierce competition is expected with European cities such as Hamburg and Rome. The International Olympic Committee will not be deciding until mid-2017. Standing in the middle of Widett Circle, amid the bustle of tractor trailers backing in and out, you can understand how city officials and Olympic organizers can see the potential for future development beyond the Games. The city’s skyline looms, a T station is within walking distance, and the Southeast Expressway is right there. at jon.chesto@globe.com. Shirley Leung can be reached at shirley.leung@globe.com.